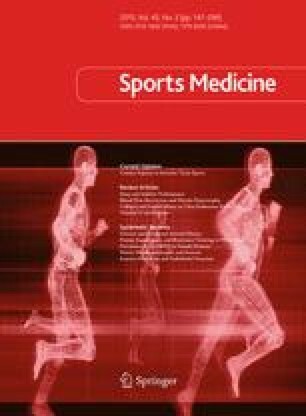 Older individuals present reductions in muscle mass and physical function, as well as a blunted muscle protein synthesis response to amino acid administration and physical activity. Although resistance training is an effective intervention to slow down muscle impairments in the elderly, there is no consensus whether a combination with protein supplementation could offer additional benefits to an older population. We aimed to systematically summarize and quantify whether protein supplementation could optimize the effects of resistance training on muscle mass and strength in an aged population. A structured literature search was conducted on MEDLINE (PubMed), Cochrane, EMBASE and LILACS databases. The search had no period or language restrictions. Inclusion criteria comprised study design (randomized controlled trials—RCTs), sample mean age (60 years and over) and intervention (a resistance training program for a period of 6 weeks or longer combined with protein or amino acids supplementation). Two independent reviewers performed the study selection and data extraction. Continuous data on fat-free mass, muscle mass and muscle strength were pooled using a random-effects model. Of the 540 articles reviewed, 29 eligible articles underwent full-text evaluation. Nine RCTs (462 subjects) met the inclusion criteria and were included in the study. The mean age of the participants ranged from 61 to 79 years old. Protein supplementation protocols varied widely throughout the studies. Three studies used quantities related to the body mass of the participants and the other six trials provided supplements in daily amounts, independently of subjects’ body masses. Overall, protein supplementation in combination with resistance training was associated with gains in fat-free mass, resulting in a standardized mean difference (SMD) of 0.23 [95 % confidence interval (CI), 0.05–0.42]. However, protein supplementation was not associated with changes in muscle mass (0.14, 95 % CI −0.05 to 0.32) or muscle strength (0.13, 95 % CI −0.06 to 0.32). Studies among the very elderly population are scarce. The variation regarding the supplementation protocol, namely the different protein sources, amounts and timing of ingestion, also made it harder to compare the results. The general quality of the studies was low, reflecting increased risk of bias in some studies. Despite these limitations, this systematic review provides a general overview of the role of protein supplementation with no other added macronutrients to augment muscle mass and strength during resistance training in older adults. Combining protein supplementation with resistance training is effective for eliciting gains in fat-free mass among older adults, but does not seem to increase muscle mass or strength. The online version of this article (doi: 10.1007/s40279-014-0269-4) contains supplementary material, which is available to authorized users. This study was partially funded by Fundação de Amparo à Pesquisa do Estado do Rio Grande do Sul (FAPERGS - Brazil), protocol number 1760-2551/12-3, and Coordenação de Aperfeiçoamento de Pessoal de Nível Superior (PNPD 2818/2011, CAPES-Brazil). Sponsors had no role in the study design; collection, analysis and interpretation of data; the writing of the report; and the decision to submit the paper for publication. Authors had full access to the analyzed data in the study and take responsibility for the integrity of the data and the accuracy of data analysis. No conflicts of interest are declared by the authors. Moher D, Liberati A, Tetzlaff J, Altman DG; The PRISMA Group. Preferred reporting items for systematic reviews and meta-analyses: the PRISMA statement. PLoS Med. 2009;6(7):e1000097. doi: 10.1371/journal.pmed.1000097. D’Souza RF, Marworth JF, Figueiredo VC, et al. Dose-dependent increases in p70S6K phosphorylation and intramuscular branched-chain amino acids in older men following resistance exercise and protein intake. 2014;2(8):e12112. doi: 10.14814/phy2.12112.